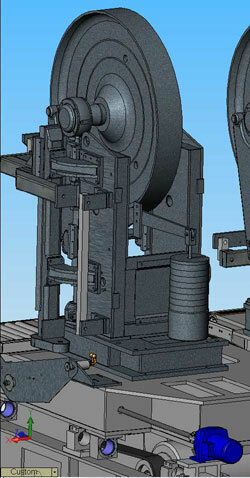 Jody Muelaner has a wide range of experience in the design of industrial machinery. 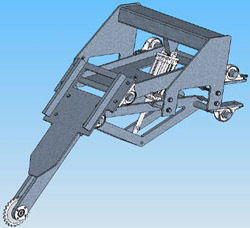 This has involved kinematic and structural design of mechanisms, chain and spur gears, pneumatics, hydraulics and electric drives. 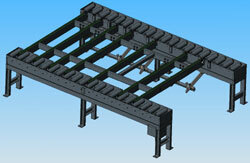 A number of designs for feed systems were completed for Stenner; the biggest name in sawmill machinery. Some examples of these are illustrated here. The work encompassed many aspects such as conceptual design, mechanism analysis, tolerance analysis, calculation of drive forces, specification of motors, buckling analysis etc.